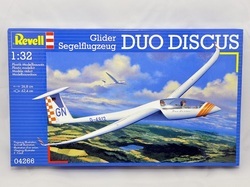 The Duo Discus (or 'Duo' to it's friends) is arguably the most successful high performance two-seater glider of all time. 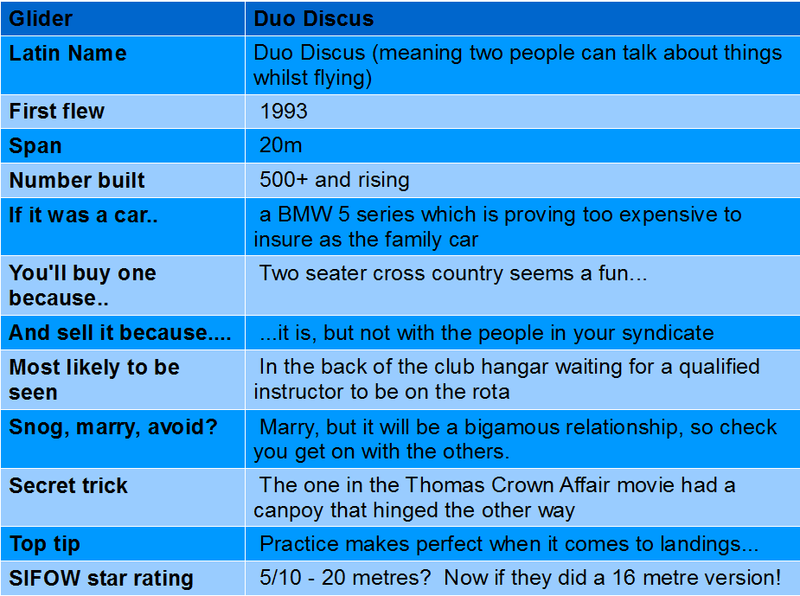 Many clubs have bought them a cross country training aircraft and a few clubs even manage to overcome the issue of finding enough 'qualified' instructors to use them for that purpose. Typically the Duo is owned by ever expanding syndicates who like the idea of flying cross country with other people only to discover that other people don't like flying cross country with them. The Duo has recently had an overhaul with the addition of landing flaps that work in conjunction with the airbrakes. This significantly improves the landability of the Duo but does take away the fun in watching an early instructor balooning down the strip in the fashion of a newly qualified student.